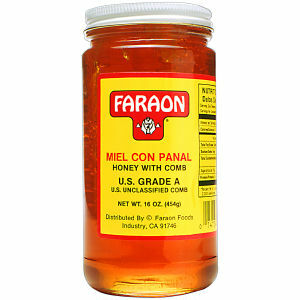 Faraon Miel Con Panal is pure honey with its comb. No other added ingredients. Que Ricos Son!